Silver Springs Shores – A 10-year-old boy was arrested Wednesday and charged with Aggravated Manslaughter of a Child. Marion County sheriff’s detectives say they arrested Berhaun Blyden for the death of his 2-year-old cousin, Journee Blyden. On June 21, 2016, Journees’s aunt, Brea Blyden, called 911 and stated that her niece was not breathing. When medics arrived at 68 Hemlock Course Run, Ocala, Journee’s Grandmother, Melina Blyden, was performing CPR on the child. 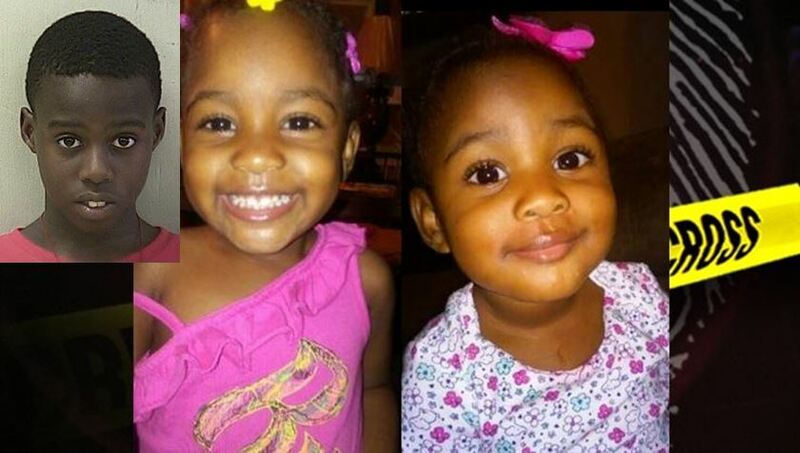 Journee was then transported to the hospital where she died from her injuries. The family insisted that Journee had fallen from her playpen. However, the Medical Examiner concluded that the toddler died from blunt force head trauma and ruled the child’s death a homicide. Berhaun, and his sister, Brianne Blyden, were removed from the home and forensically interviewed. Following the interviews, they were both placed into foster care and had not returned to the home during the investigation. On June 27, 2016, a follow up interview was conducted with Brianne. During the interview, Brianne was asked about her brother, Berhaun. Brianne then told the investigator, in great detail, about the anger her brother displayed on a daily basis. Brianne stated that she and her brother would play and that, she would tease him sometimes. She stated that her brother would get mad and hit her a lot. She said he would also hit Journee and make her cry. Brianne told investigators that her brother would hit Journee in the arms and make her cry and that, he would also put his hands around Journee’s throat and choke her. She said that she was left home alone with her brother. Brianne told the investigator that when her mother came back home, Journee was fine. Then, she said, her mother left the home again to go pick up her grandmother. While she was out the second time, Berhaun removed his cousin from her crib. She told investigators that her brother had also pushed Journee off the counter and onto the floor. Brianne then told the investigator that she no longer wished to talk about it and the interview was ended. The investigator then interviewed Berhaun. At first, Berhaun was untruthful, but as the interview progressed, he began to tell a different story than what he had originally told investigators. Berhaun said that on the day of the incident, he was running through the house while holding Journee. He stated that while running he tripped and fell on top of her. He said that is when her head slammed into the kitchen floor. He said his mother was sleeping when it happened. The interview was then ended. On the same day, the investigator attended an autopsy of Journee. Dr. Lavezzi advised that the victim had a hematoma on the forehead, a torn and bruised lower frenulum (lower lip), a hematoma behind the left ear, and bruising on her chin and right ear. Dr. Lavezzi stated that while she was performing the autopsy, she found that the victim had multiple bilateral skull fractures, diffuse subdural and subarachnoid hemorrhage, a right basilar skull fracture, bilateral optic nerve sheath hemorrhages, and small hemorrhages around the pancreas. Journee’s death was then ruled a homicide. Journee’s father, Kendall Blyden, now 29, is currently in jail for the death of another child. In 2014, he was arrested and charged with First Degree Murder and Aggravated Child Abuse of one-year-old Jayden Green. Like Journee’s death, Kendall claimed that Jayden had fallen from his crib and hit his head. It was later determined that Kendall had severely beaten the one-year-old. 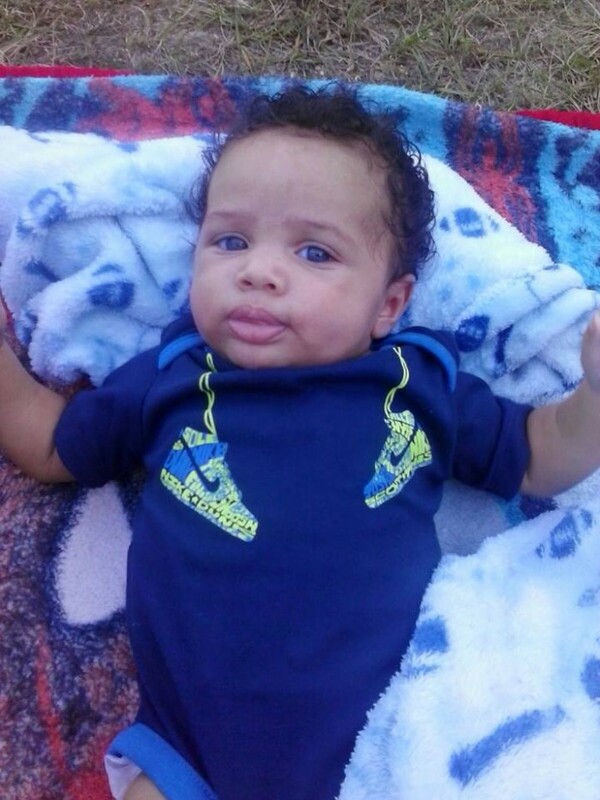 In fact, the Medical Examiner said that the child was so badly injured from the strikes to his head inflicted by Blyden, that Baby Jayden’s brain could not recover due to lack of blood flow. According to reports, the injuries were consistent with being slammed in the head with a blow from an elbow strike. It also appeared that Jayden was erratically shaken. It should be clear that Kendall was in jail for the death of the one-year-old at the time of his daughter’s death. Berhaun is currently being held at the Marion County Jail Juvenile Detention Center. His first appearance is scheduled for Thursday morning. No other charges have been filed against the family at this time. However, that portion of the investigation is still ongoing. As a reminder, per Florida State Statute 119, information about and photos of juveniles charged with a felony (or three or more misdemeanors) is public record.